At St Paul’s, we believe men have a vital role to play in our mission and ministry. Our monthly social could mean popping down to a local pub, a ten-pin bowling match, a short walk followed by a trip to the nearby pub, enjoying a big fry-up or an outing to view historic churches. On Thursday 11th April our theme will be “Special Places”. We shall talk about why certain places are special to us, and discuss the appeal of “secular pilgrimages” to places such as battle sites of the two world wars. Tea and cake will be served during the meeting, which will end by 3.30 pm. Men’s Bible Study: There will be a four-session study of the Sermon on the Mount (Matthew 5–7) on Mondays 11th March to 1st April, 11.00 am to 12.00 noon, led by the Rev. Anthony Freeman. The meetings will be followed by an optional pub lunch. 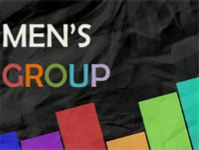 Email mensgroup@stpaulschichester.org for more details, or speak to Anthony Freeman (t. 01243 783136).